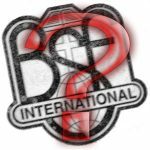 A reader asks: “What is BSF?” BSF stands for Bible Study Fellowship, an interdenominational Bible study organization founded in 1959 in association with Billy Graham Crusades. It is “highly organized and disciplined” with headquarters in San Antonio, Texas. The annual budget is $22+ million. It is increasingly popular among those who have an interdenominational concept of Christianity. This is far from the true Bible view of how Jesus Christ structured His one ekklesia (church), His called out body of believers. There are now several thousand separate groups (denominations) professing faith in Jesus Christ. They are usually identified by different unbiblical names such as Methodist, Baptist, Presbyterian, Catholic, etc. Few if any of them considers itself to be the entire body of believers, but rather as just one part, like just one slice of the whole pie. If we look at the Bible itself, the beginning of this divided denominational concept is seen in Corinth where believers had begun to form separate camps wearing different names: “One of you says ‘I follow Paul;’ another, ‘I follow Apollos;’ another, ‘I follow Cephas,’” etc. The question follows: “Is Christ divided? Was Paul crucified for you? Were you baptized into the name of Paul?” (I Cor 1:10-15; also Eph 4:3-5) The emphatic answer is NO!!!! We plead for the original organization, name, doctrine and worship of the earliest disciples, uniting as one body on the original pattern of New Testament predenominational Christianity. BSF is a concept unauthorized by the Bible.